BELIZE CITY–A Mahogany Heights man who suffers from epilepsy was remanded to the Belize Central Prison when he was arraigned on charges of attempted murder, dangerous harm and use of deadly means of harm upon Joel Winston Seawell, another Mahogany Heights man who sustained gunshot wounds on Thursday, December 11. “It is complacent and nasty. If you don’t have the evidence, investigate the thing further,” Panton said. Panton, saying that his hands are tied, read the charges to Ramsey and advised him that he did not have to enter a plea, because the offenses for which he was being charged are indictable. 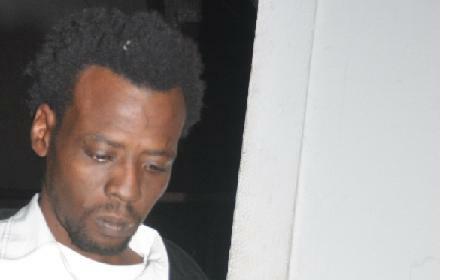 Panton remanded Ramsey to prison until his next court date on January 30, 2015. Following the court hearing, Matura-Shepherd told court reporters that she was called by Ramsey’s family to deal with the matter today. When asked what was the significance of Magistrate Panton’s comments in court as it relates to this case, Matura-Shepherd explained that when the police charge someone, they give brief facts, but they, the attorneys, never get to see that. “Under the new rules that the Chief Justice is trying to implement, we will get to see it. But I leaned over and I saw the brief facts of the prosecutor,” Matura-Shepherd said. “So I could understand why the Magistrate said that. We don’t get to see those things until disclosure. When the police have those kinds of cases, they should send them to the DPP, because the police are not legally trained to understand what they are doing with those kinds of cases,” said Matura-Shepherd. Matura-Shepherd said that her client offered to give a caution statement, based upon his alibi, but the police did not accept the offer. They just went ahead and charged him. He has no previous conviction, she said. “I will apply for a Supreme Court bail for him. You see him there, he is very sick, he’s very frail,” Matura-Shepherd said. Police reported today, Monday, that on Friday, December 12, five persons got off the bus and were walking through a picado road leading to Mahogany Heights, Belize District, when a man of dark complexion, wearing a hooded shirt, held them up. The five persons responded by fleeing and the man fired several shots, resulting in the wounding of Joel Seawell, 22. Seawell was shot in the right side of the mouth and the lower back. He was transported to the Western Regional Hospital in a stable condition.